It was a foregone conclusion that Captain America: Civil War was going to make a lot of money. Though it’s technically a Captain America solo movie, it has just about every Avenger in it, plus the additions of new characters like Black Panther and Spider-Man. With a power-packed roster, a personal plot, and good word of mouth, the film had a big opening overseas. But now the domestic numbers are in, and Captain America: Civil War opened this weekend in on its home turf to a very impressive $181.8 million haul. The numbers come from Box Office Mojo, who have tallied that the film has made $181.8 million in its first three days at domestic box offices. Captain America: Civil War already had an impressive opening night with $75 million, a figure that have only grown with each passing day. Its total income so far makes it the fifth highest opening weekend of all time, behind The Avengers, Avengers: Age of Ultron, Jurassic World, and a little movie called Star Wars: The Force Awakens. Civil War is also now the highest grossing Marvel solo film, beating out Iron Man 3’s intake of $174 million. Civil War's international box office is also nothing to scoff at. It has already made $496.6 million overseas after opening ahead of time before the U.S. release. That makes its worldwide total a whopping $678 million, and it's still a long way before summer is over. As a whole, the Captain America franchise just keeps doing better and better. 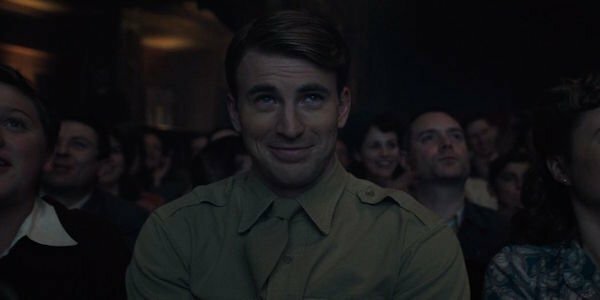 For comparison, Captain America: The Winter Soldier made $95 million on its opening weekend while Captain America: The First Avenger made $65 million. After the summer is out and the numbers have been tallied, the Captain America trilogy could defeat Iron Man as the most successful non-Avengers Marvel property. This has been a pretty great year so far for Disney, who has already had major successes in the box office with films such as Zootopia and the live action Jungle Book. The Jungle Book came in second this weekend, meaning Disney had the two highest grossing films at the moment. Captain America: Civil War’s income has already pushed Disney over the $1 billion mark for the year. Factor in other big movies yet to released such as Finding Dory and Rogue One, then Disney is looking at a great year for the cinema. It's all about the franchises. Captain America: Civil War is out in theaters, so go and throw all your money at it if you haven’t already.